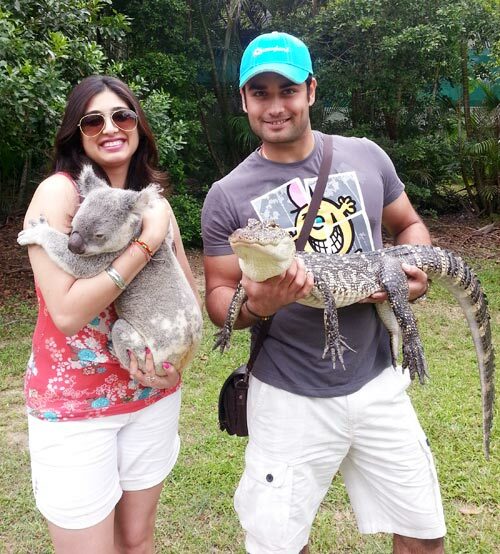 Madhubala Ek Ishq Ek Junoon actor Vivian Dsena and his actress wife Vahbbiz Dorabjee Dsena married in January this year but their hectic work schedules prevented them from having a honeymoon. Recently, they got the chance to make up for that with a trip to Australia courtesy news channel Aaj Tak. They covered five locations -- Melbourne, Brisbane, Gold Coast, Tangalooma Island and the Great Ocean Road in a week. 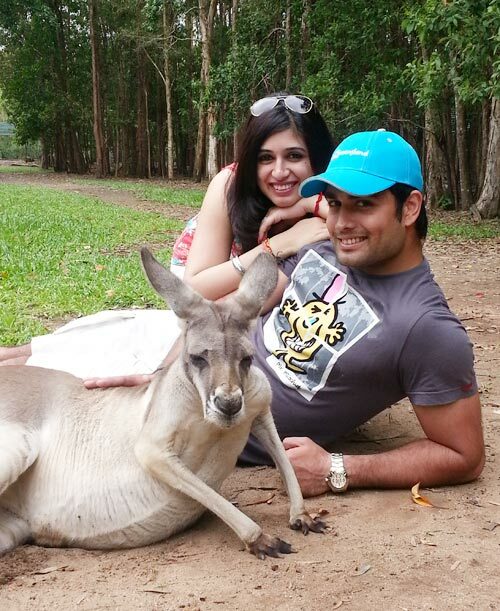 Click Next to see fabulous pictures from their scenic honeymoon. 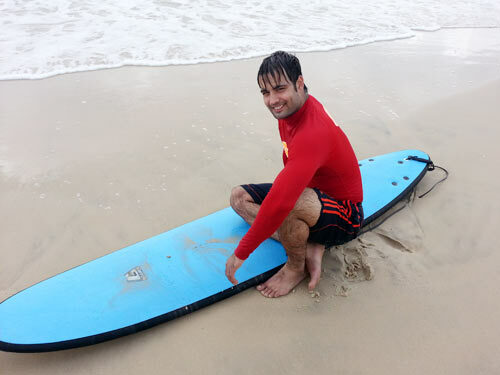 "It was a week long, proper, rejuvenating break for me after one-and-a-half years where I was myself and I got an opportunity to explore my adventurous side," said Vivian. "For a change," he continued, "RK was out of my mind and life. I had some really romantic moments with Vahbbiz. As an actor I hardly get so much time to spend with her in Mumbai so it was a welcome change." Reminiscing about the experience Vahbbiz says, "Surreal is the word that comes to mind when we think of our Australia trip. It was nothing less than a dream, everything went by so fast and we covered many places in very little time." "To begin with, we were welcomed to Australia by the warm and friendly people, which made our trip even more worthwhile. People out there have a habit of referring to everyone as 'mate'. Our first destination was Brisbane. 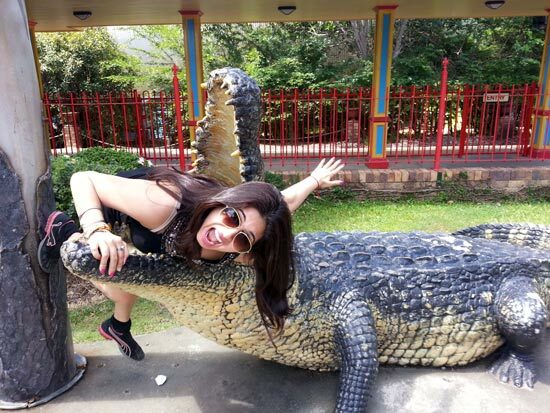 Driving down the roads and chilling by the Brisbane Lake was beautiful," Vahbbiz says. Vivian takes up the tale. "Next day, we left for Tangalooma Island by boat. Our journey was about two hours and awaiting us was a gorgeous island. It is the top third sand dune on earth. 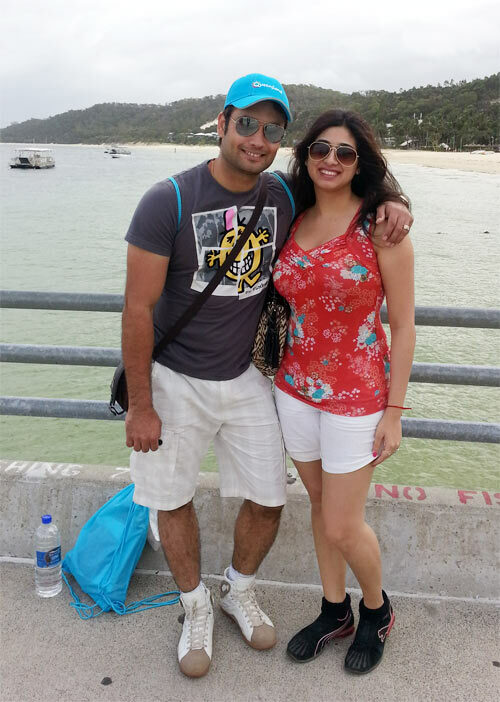 We were welcomed with some lovely seafood, fresh seawater prawns, oysters, fruits etc." Vahbbiz says they got a "lovely sea facing room surrounded by palm trees." 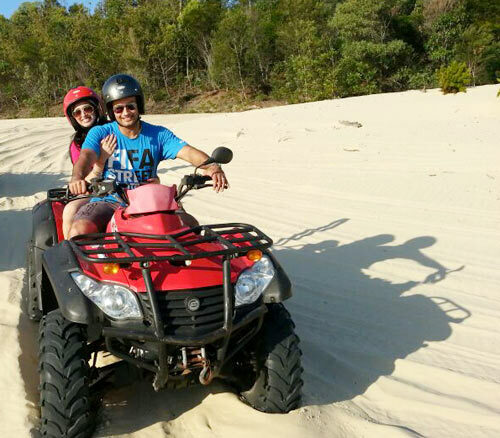 There were lots of fun activities such as a desert safari, ATV (All-terrain vehicle) bikes and dolphin-feeding. The desert safari was unique, Vivian says. "We went sand boggling; it's like surfing on the sand and that was a mind-blowing experience. Followed by ATV biking, which is a really adventurous sport. We had a blast biking in the desert." "The most special part for me was the dolphin feeding. As I'm an animal lover, it was such a delightful experience for me. I was on top of the world," Vahhbiz said. Next day it was off to the zoo where they got to play with the kuala bears, feed the kangaroos and elephants. "It was a Steve Irvin zoo and what we loved the most is how the animals are kept in a free environment in order to preserve nature. This is the message Steve Irvin wants to give -- please stop poaching and preserve nature" Vahbbiz said. They had a blast on the scenic beaches of the Gold Coast and Vivian took some surfing lessons. His verdict: "It was nice, quite hectic, and tough and requires a lot of body balance. I realised for the first time how tough surfing is and no wonder all the surfers have great bodies." 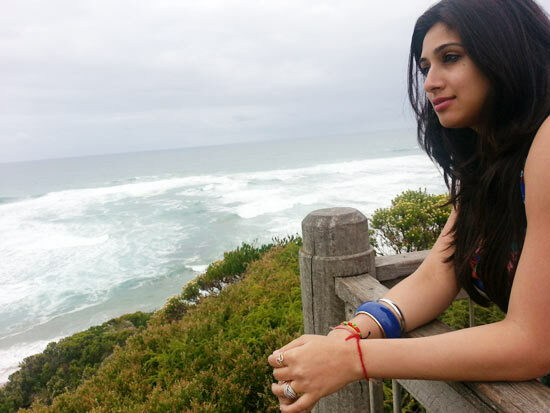 "We also went to Sky Point from where we could see the entire Gold Coast. 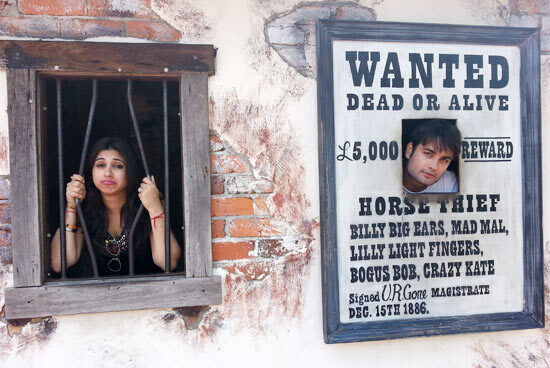 Next day we went to Dream World where we experienced some crazy and scary rides .We had a blast since we are both daring people," says a thrilled Vivian. 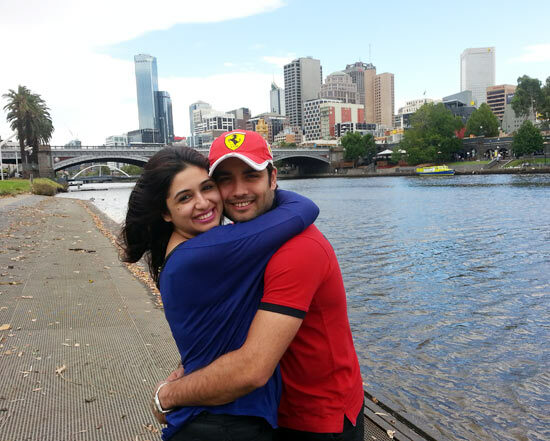 "Lastly, we also visited Melbourne and we were shown the cafe culture of Melbourne. Vivian had a fabulous time as he loves coffee. We had a super time cycling all around the Melbourne streets. We also saw the lanes where people do street art and graffiti. Some of the art was impeccable," says Vahbbiz. "The best part of the trip was when we were taken to Ocean Road. It is heavenly and we stayed at Chris Beacon point, which is the most scenic view I have ever seen. We also experienced the euro copter ride at the 12 Apostles. It was like a dream and also the most romantic part of the trip. 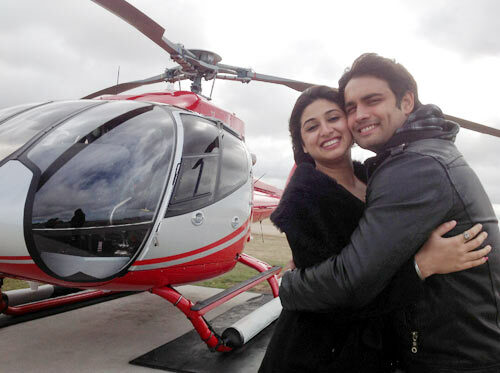 "The best part was when Vivian gave me a wedding ring in the air, in a helicopter, and took 12 vows at the beautiful 12 Apostles. We had the time of our lives and I would definitely tell people to visit Australia and they will fall in love with the country," she added. TV stars we would like to see in the movies!